WHY U OF T ENGINEERING? Whether you are a recent graduate or a seasoned professional, a Master of Engineering (MEng) provides the perfect mix of technical, leadership and business competencies to accelerate your career. Flexibility is a hallmark of this degree with a range of MEng pathways and industry-relevant emphases to choose from. You can complete an MEng degree in just one year of full-time study, or part-time through online, weekend and evening course offerings. Coursework is dependent on your academic unit as well as your selected area of focus. Whichever MEng path you choose, you’ll benefit from exposure to some of the world’s best engineering educators and industry leaders. In addition to the MEng, we also offer a Master of Health Science (MHSc) in Clinical Engineering through the Institute of Biomaterials & Biomedical Engineering. This program focuses on the application and implementation of medical technology to optimize health-case delivery. With its academic courses, research thesis and professional internships, this two-year program is a hybrid between a research-intensive and professional degree. U of T Engineering's location next to world-class hospitals makes Toronto the perfect place to study at the intersection of engineering and health. Learn more about the MHSc program here. The St. George campus is in the heart of Toronto’s Discovery District. Our neighbours are some of North America’s leading startup incubators, world-class hospitals, diverse industries and Canada’s nancial hub. Toronto’s high global ranking for innovation and opportunity provides you with advantages during your studies and upon graduation. Toronto is also known for its vibrancy and cultural diversity. From unique festivals to unforgettable attractions and delicious food, there’s never a dull moment. The U of T Engineering community is defined by multidisciplinary collaboration, technical ingenuity and creative trailblazing. We are renowned for engineering excellence and home to more than 25 leading-edge multidisciplinary research hubs, such as the Centre for Global Engineering and the Institute for Water Innovation. Many of these hubs are housed in our newest facility, the Centre for Engineering Innovation & Entrepreneurship (CEIE). MEng and MHSc instructors and lecturers are successful industry professionals with expertise in a broad range of industries — making them exceptional educators and professional contacts. You’ll also expand your network by learning alongside your fellow classmates, who are early- and mid-career engineering professionals from across Canada and the world. Typically, MEng students complete nine or 10 courses, up to six of which are technical and focused on your selected area of interest. You may pursue an independent project with a professor or take part in a group project working with an industry advisor. Complement your technical knowledge with up to four professional development courses on leadership, nance, entrepreneurship and innovation. Developed by the Toronto Institute for Advanced Manufacturing, this emphasis focuses on manufacturing management and manufacturing engineering. Offered through the Institute for Water Innovation, this emphasis explores water treatment methods and design of treatment processes. 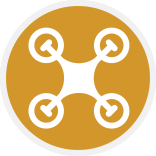 Created by the Centre for Aerial Robotics Research and Education, this emphasis focuses on integrated research and development on aerial robotics systems, from design, instrumentation, to autonomy, including industrial internship opportunities. Learn techniques and strategies to translate large data sets into useful insights for sectors such as transportation, banking and health care. Sponsored by the Centre for Global Engineering, this emphasis examines how to leverage engineering to address complex global challenges, like clean water and basic health care. One of our most popular MEng emphases, ELITE develops the whole engineer through courses in leadership, business and more. 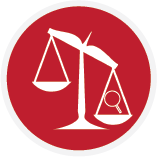 Gain specialized expertise applicable to enhanced engineering investigation, including those involving accidents and failures causing injury and nancial loss. Created by the Identity, Privacy and Security Institute, this emphasis focuses on interdisciplinary education in security technologies. Developed by the Institute for Robotics & Mechatronics, this emphasis explores the development of smart and high-performance systems, including Control Systems, Dynamics and Modelling. Created by the Centre for Sustainable Aviation, this emphasis focuses on the impact of aviation on the environment through engineering and technology. Offered through the Institute for Sustainable Energy, this emphasis provides exposure to a variety of energy issues, from energy production and consumption to environmental impact. 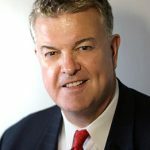 STEPHEN ARMSTRONG has achieved 25 years of success leading and driving large-scale business turnaround initiatives, initially in the aerospace and defense industry and then branching out to other sectors. He has worked for Bombardier Aerospace–Belfast and KPMG. In 1993, he founded AMGImanagement.com. In 2009, he started teaching in our MEng program and was appointed Professor of Innovation in 2014. Today, Armstrong teaches undergraduate and master’s courses in the areas of innovation, management and philosophy. EDUARDO FERNANDEZ brings more than 20 years of global engineering management experience to the classroom. He is an international engineering consultant on project and equipment financing, corporate restructuring, development bank financing, oil and gas, hospitality, and business and management for diverse industries with cross-border operations. Fernandez teaches courses in international business for engineers, and engineering economics and decision making. Throughout ALEXANDER HAY's 25-year career in government, he is a specialist in fortifications and infrastructure development. 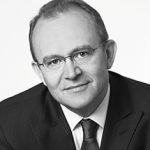 He has worked across the world in austere, hazardous and developed environments for national and international agencies. 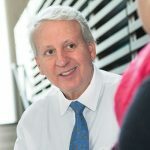 Outside of U of T, he consults internationally on operational risk, resilience and security planning and design. Hay teaches infrastructure, resilience and protection planning, and how to transform research into operational risk management plans. Professor ROBIN SACKS has been teaching leadership and happiness since 2009. She is the founder of Peace by PEACE Canada and the co-founder of Rotman's I-Think Program, which aims to bring integrative thinking from Rotman's MBA program into schools across the continent. Sacks serves as the Director of Research at U of T's Institute for Leadership Education in Engineering and helped launch the Engineering Leadership Project to uncover the unique contributions of engineers as leaders in industry. 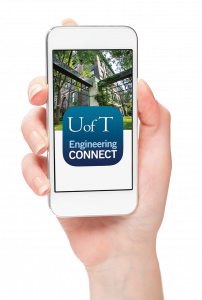 Once a student, you can access thousands of accomplished alumni through U of T Engineering CONNECT, an exclusive online network. They are poised to offer industry-specific mentorship, work opportunities and more.